Just playing with some simple summer basics in this outfit - nautical stripes, a fresh, bright print, and the always-in-style denim jacket. Not so basic? 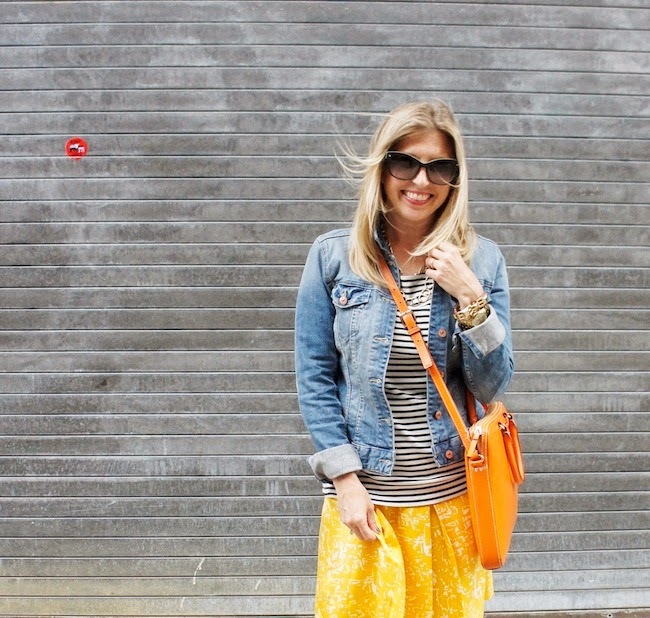 The day I wore this outfit was pretty breezy... (Note to Self: Save the flouncy skirts for non-windy days!). P.S. 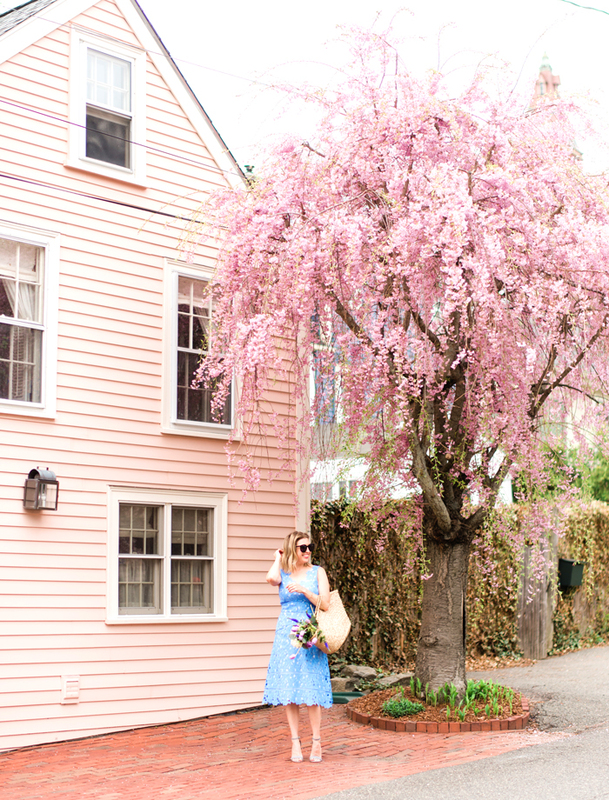 Thank you for the nomination to the Boston A-List for best local fashion blog! I love being a part of the blog community in this city. Would you please take two minutes (really, that's all that it takes) and vote for TBF? Thank you, as always, for your support! Nothing better than some nautical stripes and bright colors! But man I'm with you on the swingy skirts and breezy days! I always seem to pick the worst days for my swingy skirts! Right? How do we do that? Common Sense: must have more of it?